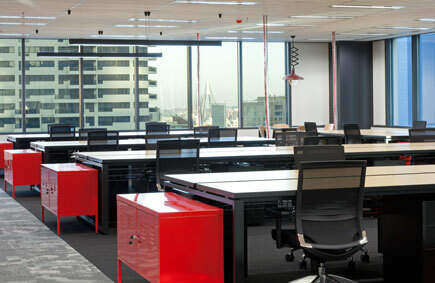 IDPM offers office refurbishment, expansion or restack services for Sydney businesses relocating or occupying new space. No matter how big or small the office space, IDPM can assist in re-designing a space to be functional yet aesthetically pleasing and guide you through the whole process. IDPM's ability to offer both disciplines of interior design and project management to your office project results in a creative, efficient and fully customised approach to your office refurbishment, restack or expansion. Office refurbishment and re-fit activities. You may need just one item, a refit utilising existing furniture and fixtures, or a completely customised office fitout, either way IDPM can assist you. IDPM can also provide clients with the anticipated fitout costs of all office refurbishments prior to committing to a new space, assisting in weighing up fitout expenditure versus incentives.